Bluetooth headsets both enhance mobility in the office and give you hands-free audio on the road. Bluetooth headsets for business use wireless connectivity to provide professional HD audio without the bother of cables. 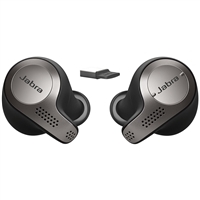 They offer extended wander ranges, noise cancellation, and much else. Because so many devices—computers, tablets, and phones—support Bluetooth, you're able to switch between devices to take calls on whatever is most convenient for you no matter where you are. Find Bluetooth headsets that are compatible with softphones and unified communications systems, including Microsoft Teams and Skype for Business.